Everyone loves a good roast beef sandwich, but sometimes a good one is hard to come by. What if you could find the best roast beef sandwich around from a store located right in Trinity’s backyard? Top Round Roast Beef is a quick, family-friendly restaurant with moderate prices and a delicious and varied menu. Top Round Roast Beef is located at 4214 Shelbyville Road in the building formerly occupied by Long John Silver’s. Their hours are 11 a.m. – 10 p.m. Sunday through Thursday and 11 to 11 on Friday and Saturday. 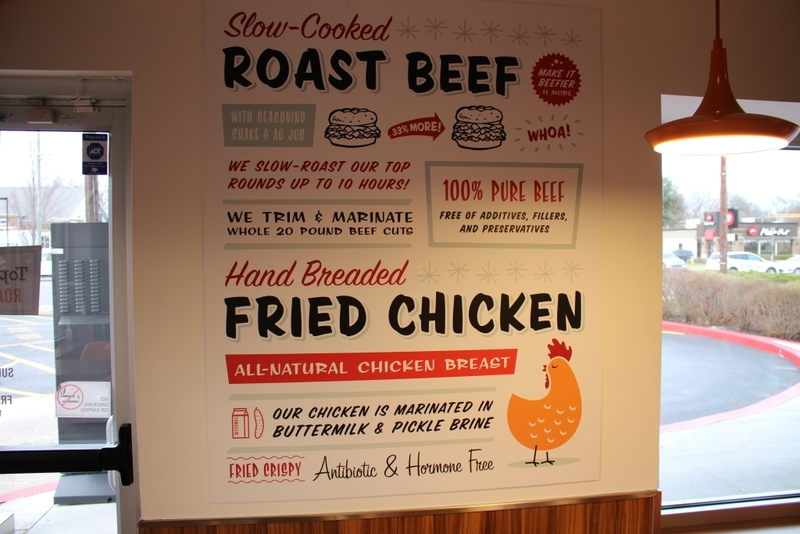 Described as “chef-driven fast food,” Top Round is a delicious alternative to Arby’s. 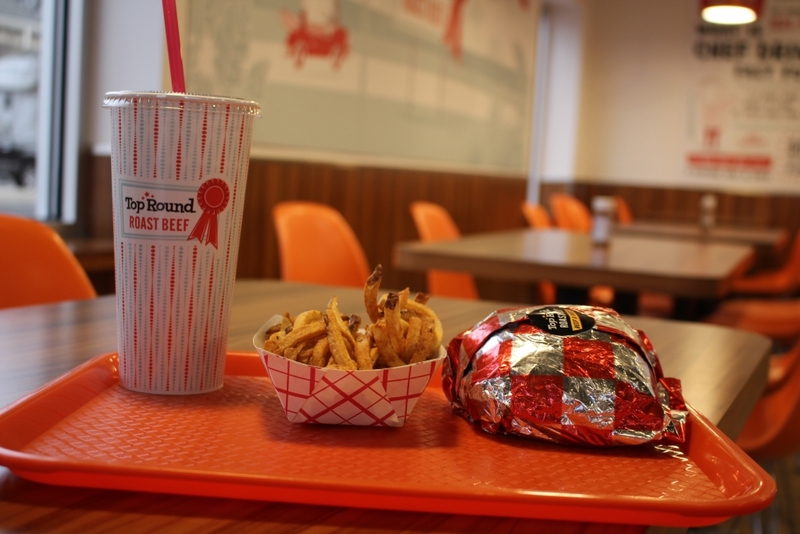 At Top Round, most everything is made in house, ranging from the Round sauce (made of Worcestershire sauce, ketchup, tabasco and molasses), curly fries ($2.99), and custard ($5.99). The meat is cut off a slab, seasoned and cooked each day. Originally opening here on Aug. 16, 2017, there were two other stores, in Louisiana and Texas, before the first franchise opened in Louisville. 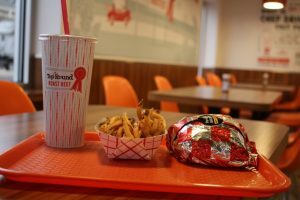 The menu mainly consists of succulent roast beef sandwiches of different types, including the OG ($5.99), Beef and Cheese (7.49), and the Horse and Hole ($7.99), which has provolone cheese, horseradish cream, and roasted mushrooms on a sesame seed bun. They also offer fried chicken ($5.99), hot dogs ($3.99) and amazing desserts. The price of an OG roast beef with fries and a large drink totals $10.48. These are reasonable prices but could be seen as high by some. I am a big fan of the Beef and Cheese. The tender and tangy roast beef on a fluffy bun includes amazing sauce and gooey, tasty cheese. Top Round Roast Beef currently has no Trinity students on staff, but they are willing to hire some once summer rolls around. If you are interested in trying this breathtaking alternative to Arby’s, their busiest hours are lunch and right before close. 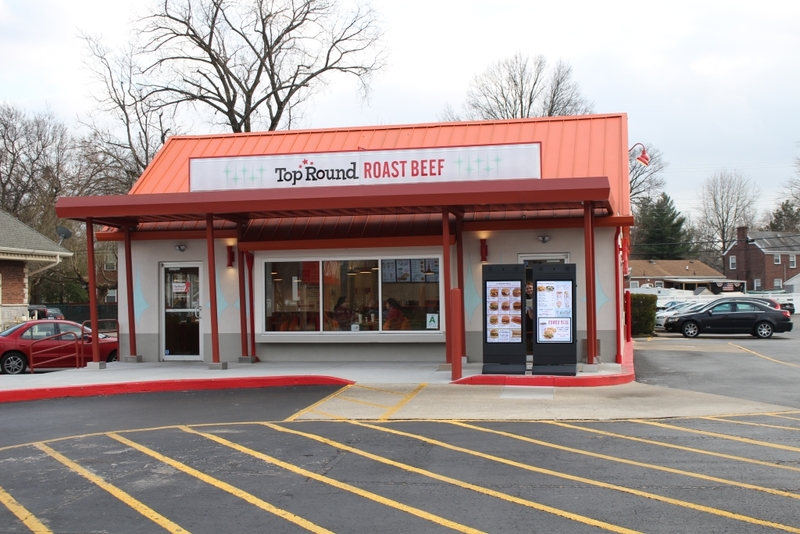 Located on Shelbyville Road, Top Round Roast Beef opened last August.